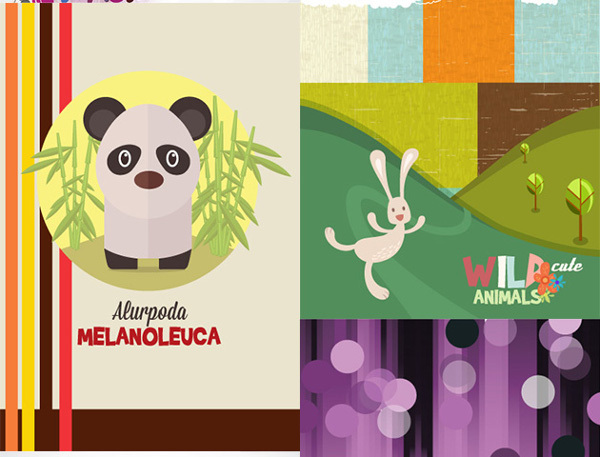 This resource consists of different PSD templates that are tailored for educational websites. 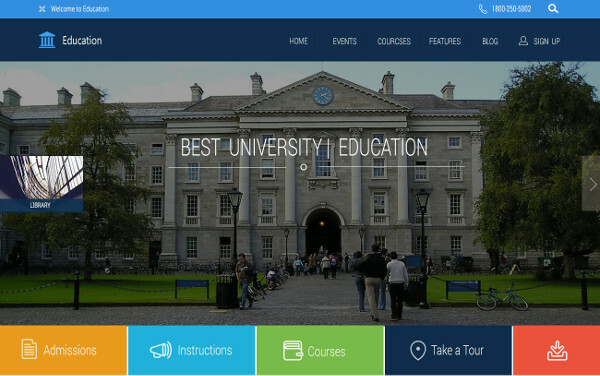 These templates have a number of different sliders and accordion galleries so you can clearly display the various features, curriculum and courses provided by an institution. Patterned backgrounds have a number of different uses. They can be used as your website’s background, on advertisement posters or flyers, and even as backgrounds for banners on your website. These backgrounds consist of different geometric patterns in different shades and grab the attention of the viewer instantly. This set consists of 50 different patterns that can all be downloaded and used on any number of projects for free! Photoshop actions are used by designers worldwide to provide a unique hue or tint to an image. Using certain actions can give your images a retro look and can make some of the elements in the picture pop out. Considering the widespread use of such Photoshop actions, wouldn’t it be great if you had a few custom actions at your disposal so you could instantly convert your originals in no time? 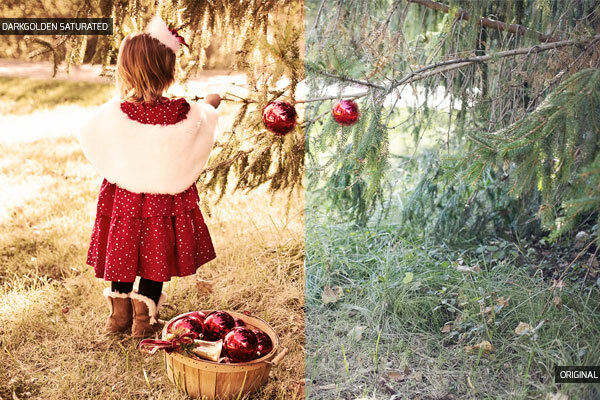 This resource consists of 15 such Photoshop actions that would help you complete your photo editing chores in no time. 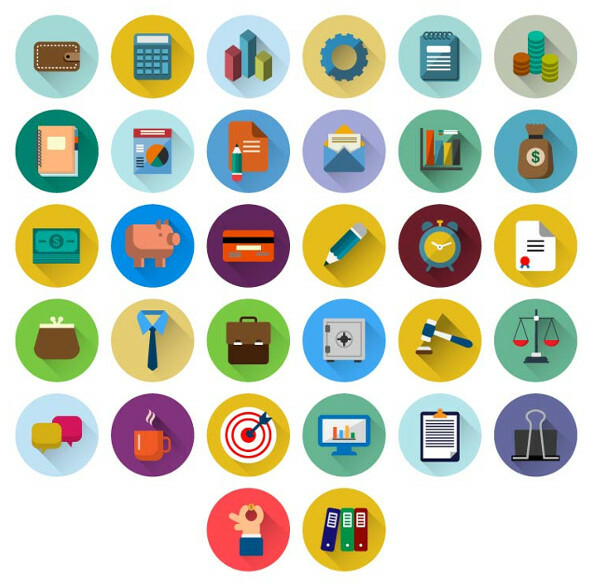 Icons are versatile design elements that serve a wide variety of purposes. They help users by indicating different user actions and also convey valuable information without compromising your website’s real estate. 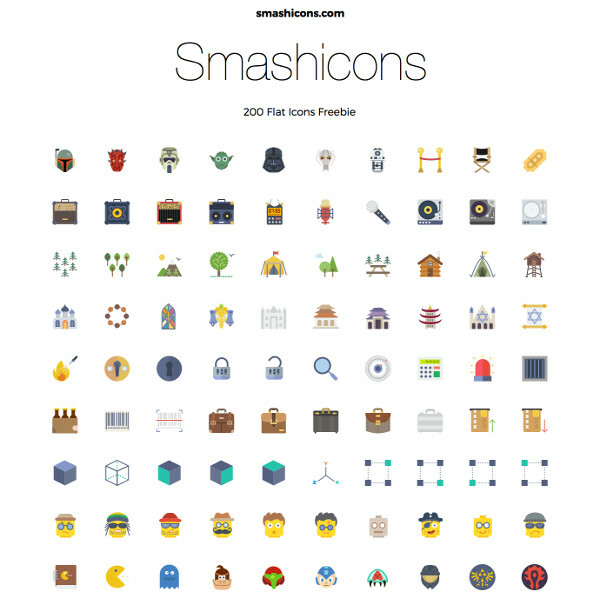 This set consists of 200 different flat icons that can be used on your websites, apps or incorporated in video games as well. Many of these icons have been influenced by the flat design trend which can provide a fresh look for your next design project. The complete set can be instantly downloaded and used in commercial as well as personal projects. To create a design from scratch, you need a professional background, some cool icons and a few illustrations to entice your audience’s eye. This set provides a wide variety of high quality textured backgrounds along with a number of different vector illustrations that you can use and manipulate for your next website or design project. These graphics look catchy and use bright colors making them ideal for educational or recreational websites of children or any other type of bright design project. While designing an e-commerce or auction website, you must make efforts to showcase the authenticity, originality, quality and other essential characteristics of a product. But explaining such details can take up a lot of your valuable space and eventually make your website look crowded and clumsy. So the best bet is to use badges that show the same information, but in an appealing manner. These badges can do just that–they have a vintage look and feel and can easily be used to provide vital manufacturing details to your audience. 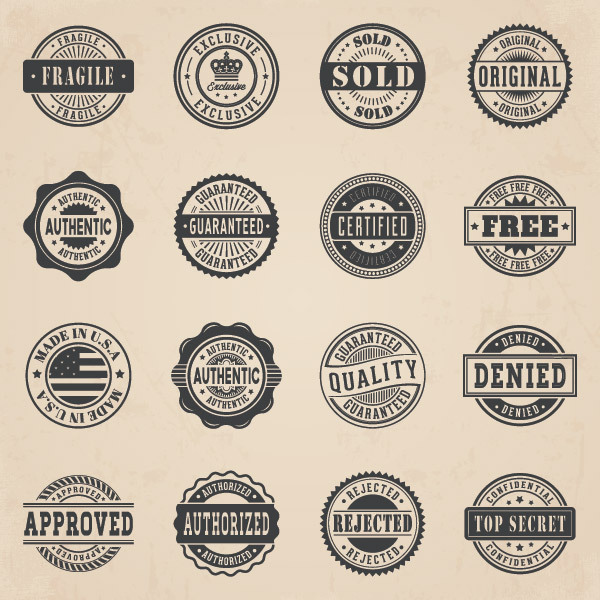 These badges are easy to work with and can be used in your personal or commercial projects. Different social media icons are used on websites to help market their content on various social networking platforms. 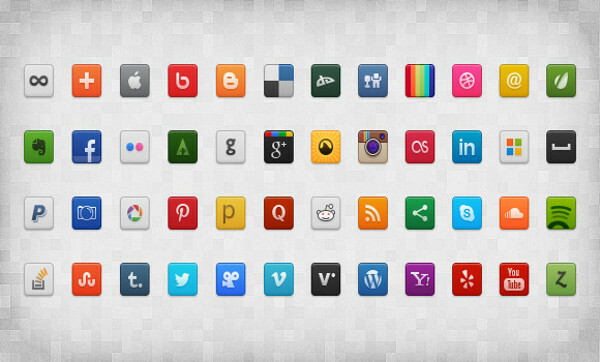 This set consists of 48 icons of the most popular and frequently used social media sites. These icons look artistic and are compatible with dark as well as light backgrounds. Best of all, they can be download instantly for free! 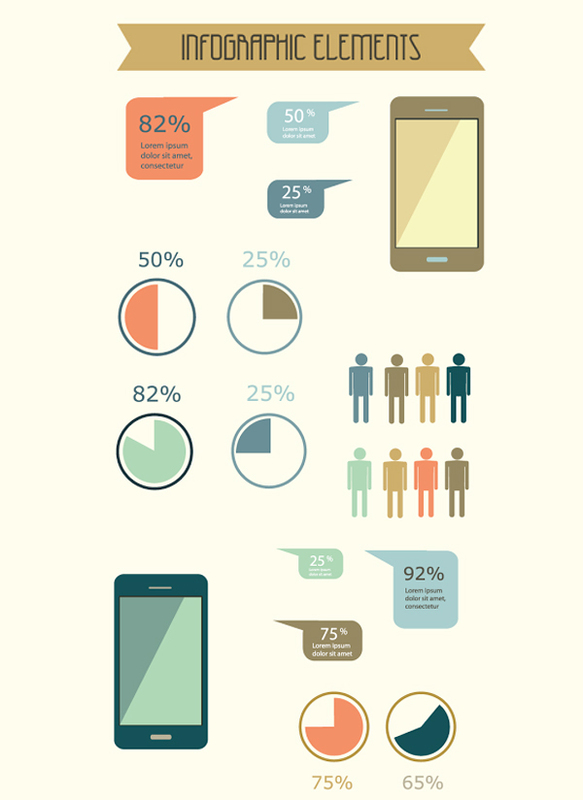 Infographics can be used on your website, for social media marketing, or even for informative print pieces. They are extremely useful and help provide valuable and precise information to your audience in a quick, visual appealing manner. Generally infographics consist of data from various statistical analysis, which can show how good is your business, product or certain elements in your business is behaving. Thus infographics are used by almost all and every type of business. Considering the large scale appeal, this vector infographic is a must have design resource for any designer. This infographic element is completely customizable and can be used in a wide variety of different graphs and charts to showcase your data, so grab this freebie now! Icons are used on most every website, but depending on the nature of the website, different icons can denote different functionality. This pack brings you a set of different vector icons perfectly categorized to meet different design needs for different businesses and industries. This set has a wide variety of icons for most any business type including financing, restaurants, hotels, as well as medical icons. The icons are completely customizable and can be instantly downloaded in different formats. 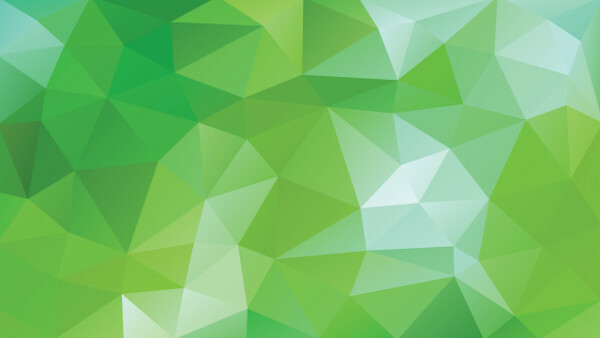 This resource consists of different textures, icons and illustrations, which can be used to design games, websites, posters or banners. 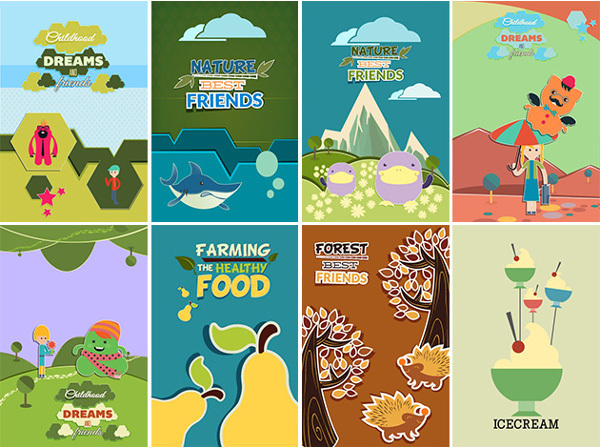 This set uses bright color and simple shapes, so it can be ideal for building a website for kids. It also contains a number of references to foods and other delicacies, so a culinary website is another perfect fit for using this pack of resources. These graphics can be used in personal or commercial projects and can be instantly downloaded in different formats and customized to fit your next design project. This is a sponsored post on behalf of DealFuel. ← 35 Amazing Fonts Now Available in This October Font Bundle!